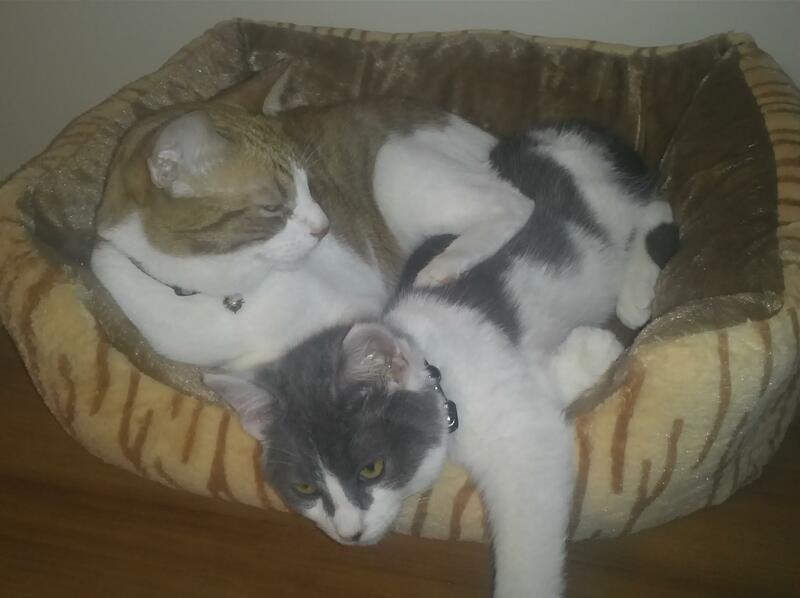 Hogan and Loki grooming each other. 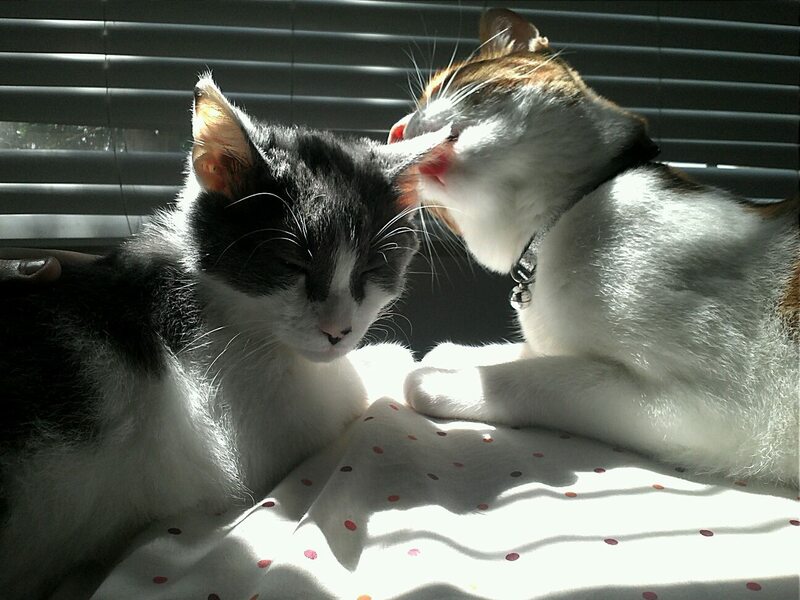 Mutual grooming is one of the highest forms of affections cats extend to one another. 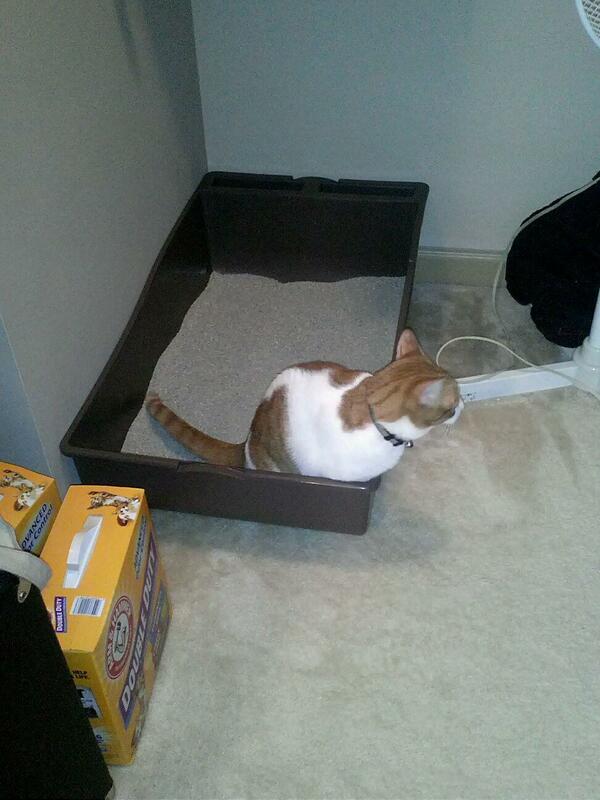 A nice new, big, clean box scooped daily made Hogan a happy cat. 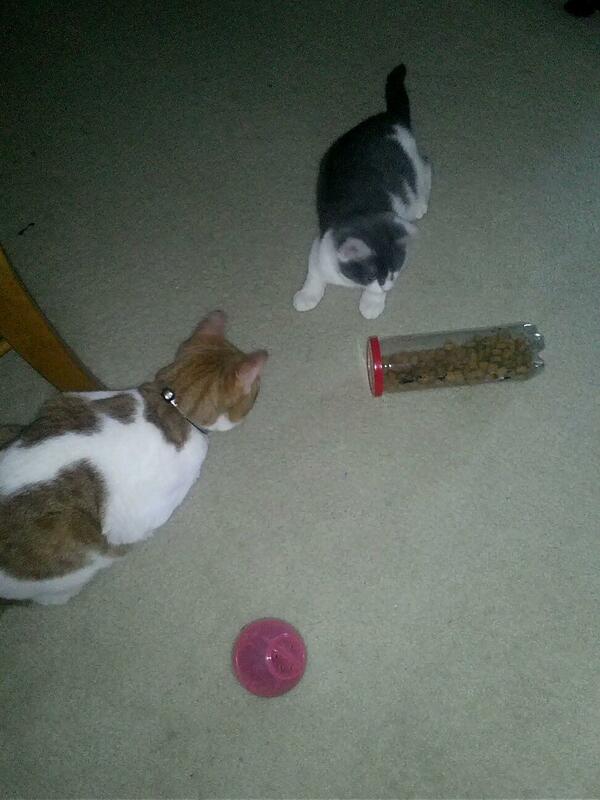 Both boys got the hang of their new foraging toys within hours of the consult. Quick learners.